Even though it has been one of the hardest, most emotionally challenging experiences I have ever had, I support breastfeeding. 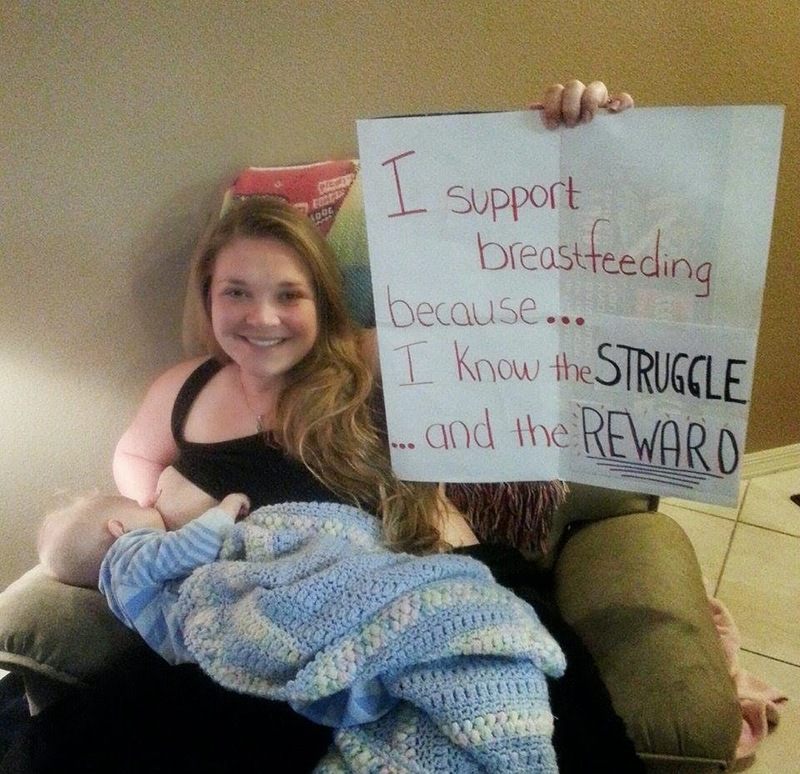 Even though I have been shamed for daring to feed my baby out in public, I support breastfeeding. 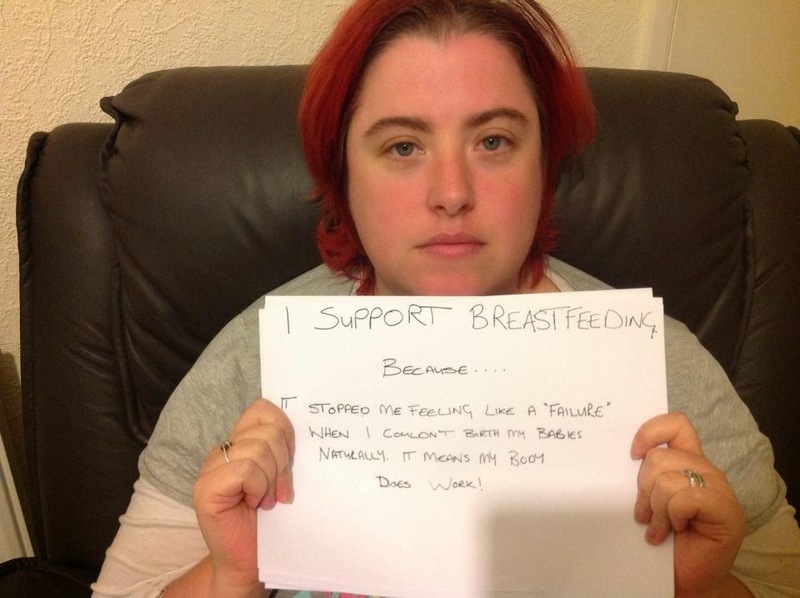 Even though I have felt like I have no personal identity besides my two breasts, I support breastfeeding. Because breastfeeding is normal. It is, even with all of it’s challenges, powerfully beautiful. It is fulfilling, empowering and uniting; a celebration of motherhood. Isn't it about time that our thinking around breastfeeding changed for the better? 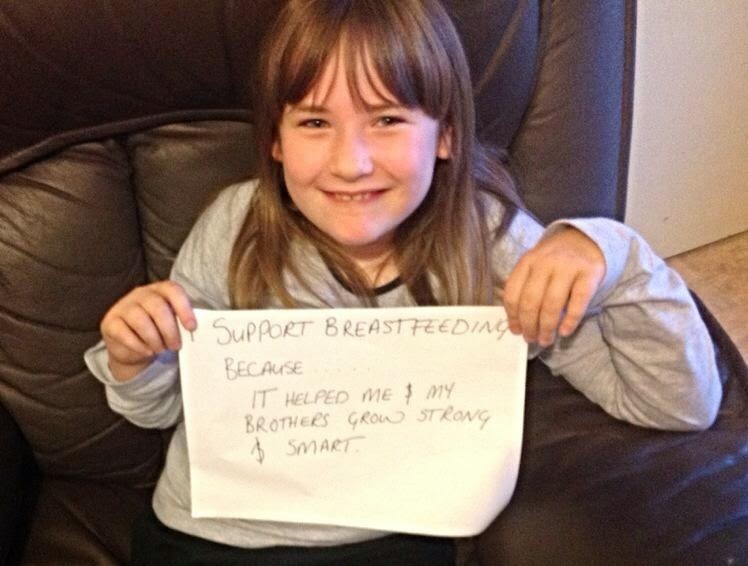 Because you don’t have to be lactating to support breastfeeding; honestly, you don’t even need to have breasts. There is a difference between choosing to, or being able to breastfeed and supporting breastfeeding in general; these ideas are totally and utterly independent of each other. So why not swap the ‘but’ for a ‘because’? 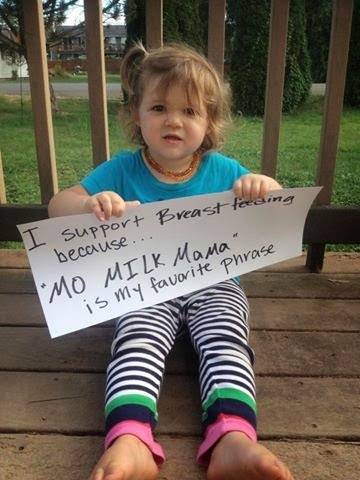 Introducing the #ISupportBreastfeeding project: a call to celebrate and focus on the 'because' as opposed to the 'but'. 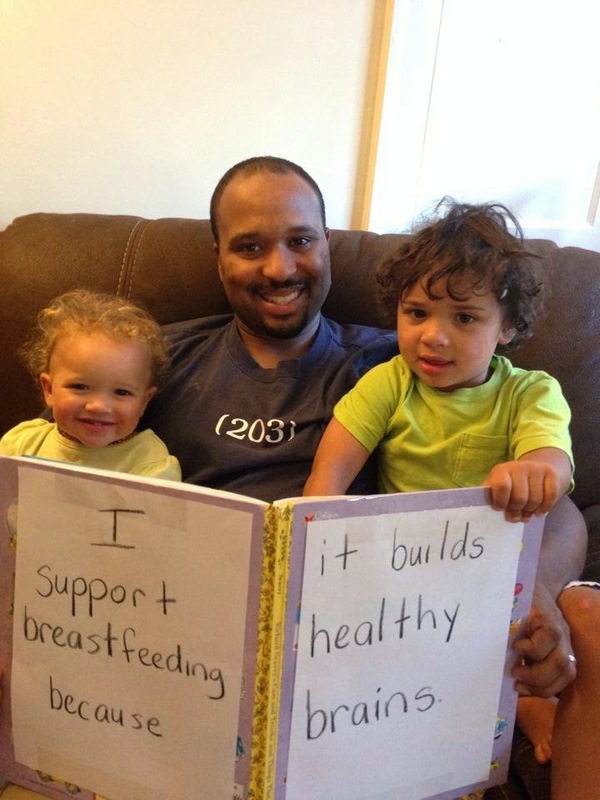 The women, men and children pictured below, each offer their personal reasons of support for breastfeeding. Individually, their messages are inspiring and affirming…but collectively, they are truly powerful. 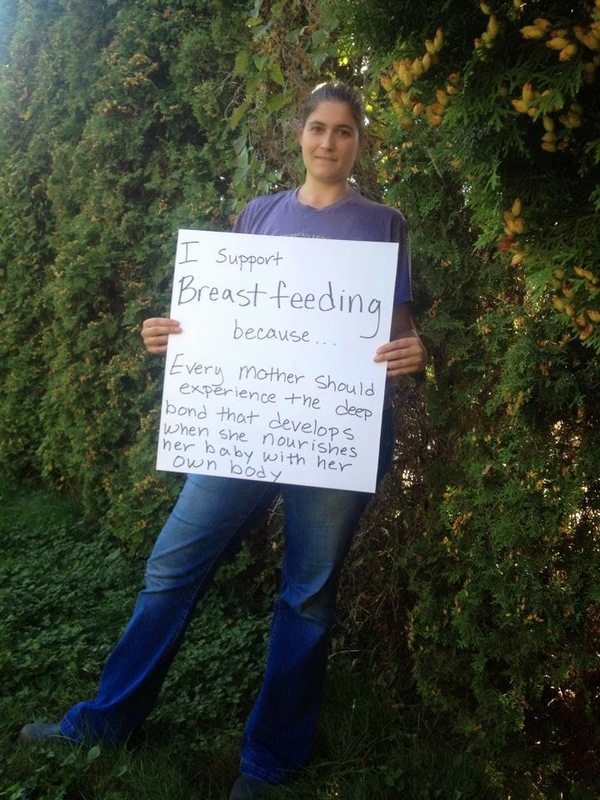 If you support breastfeeding, why not join the project? 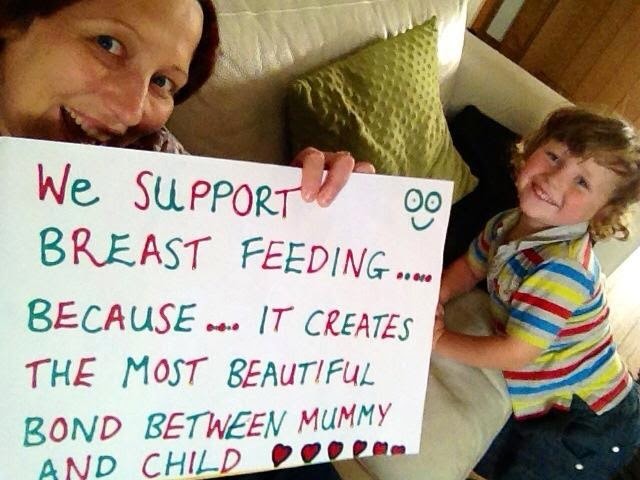 You can get involved by posting a picture of you holding your sign to Mama Bean's Facebook page, using the hashtag #ISupportBreastfeeding…let’s help normalise the normal. 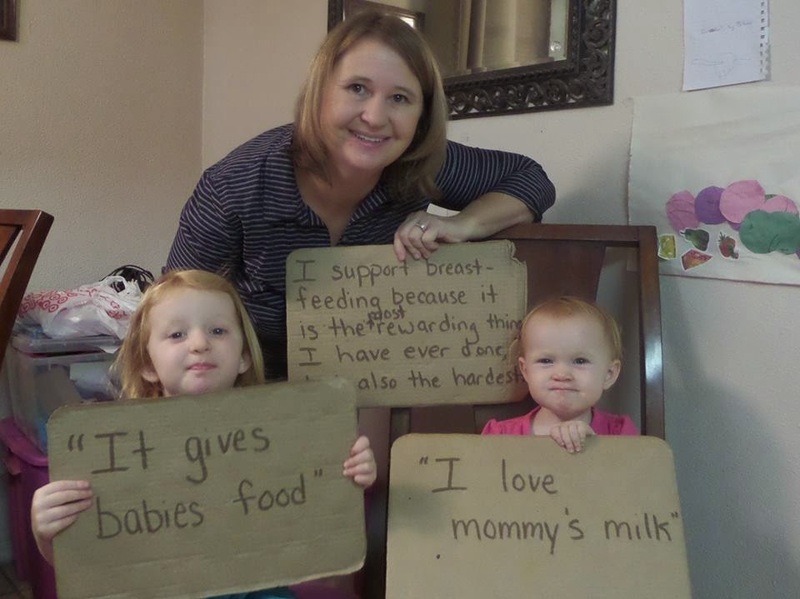 "I support breastfeeding because..."Mo MILK Mama" is my favourite phrase"
"I support breastfeeding because I know I am providing my son with all the nutrients he needs! We have an unbreakable bond." 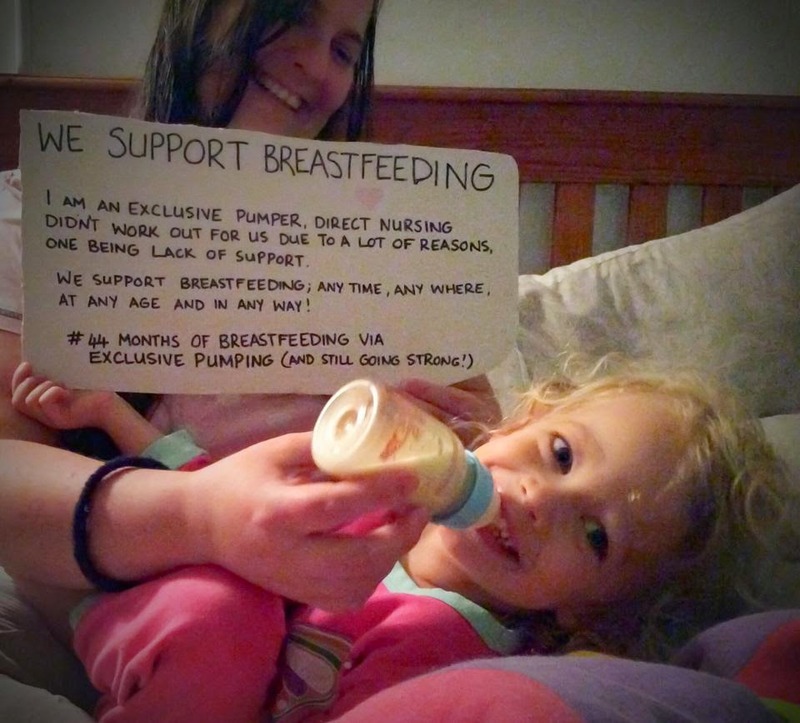 "We support breastfeeding (because) I am an exclusive pumper. Direct nursing didn't work out for us due to a lot of reasons, one being lack of support. 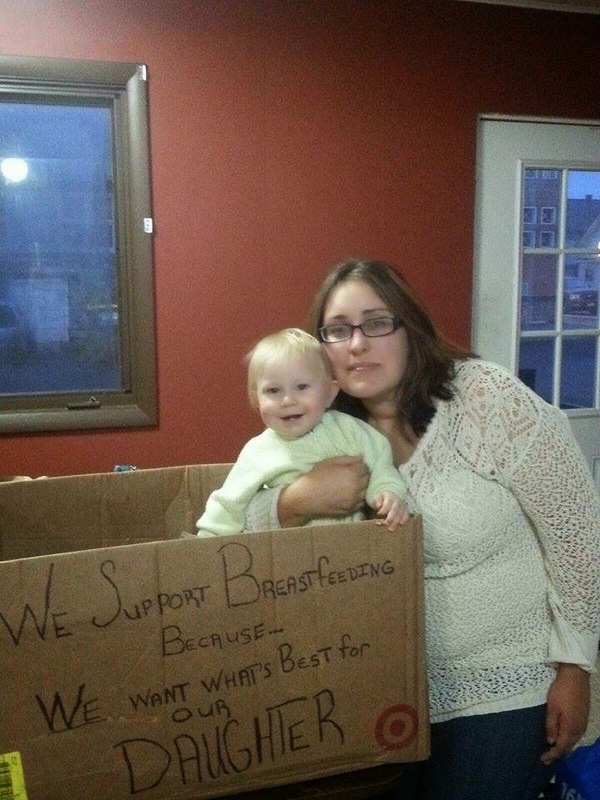 We support breastfeeding; any time, anywhere, at any age and in any way! 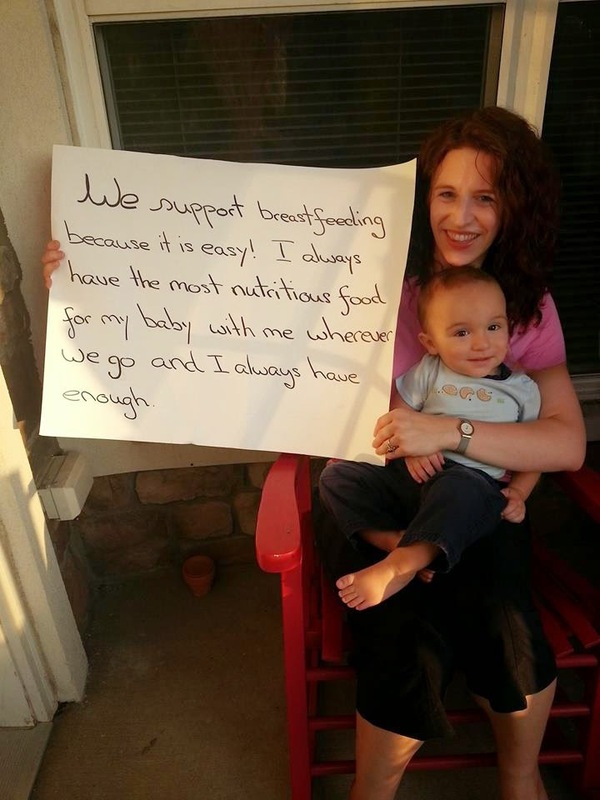 #44 months of breastfeeding via exclusive pumping (and still going strong!)" 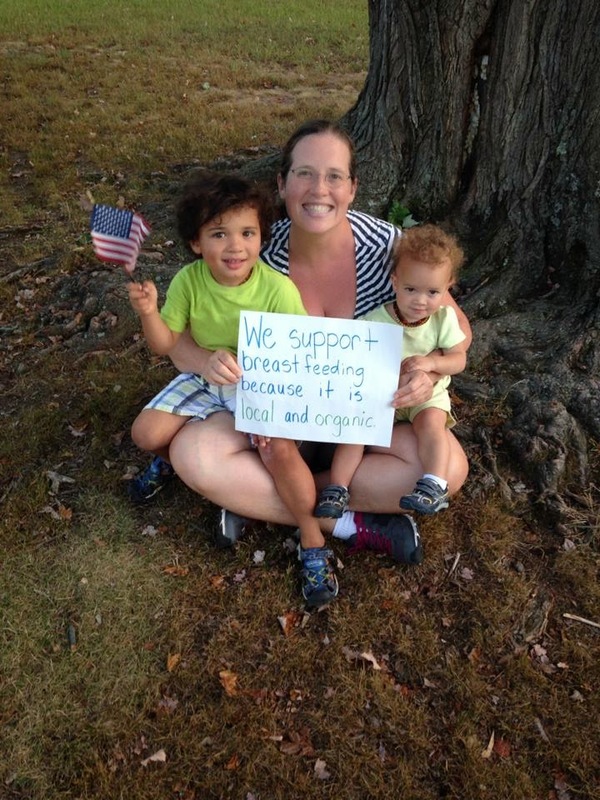 "I support breastfeeding because my body was specifically designed to both comfort and nourish my children. Anytime and anywhere necessary." 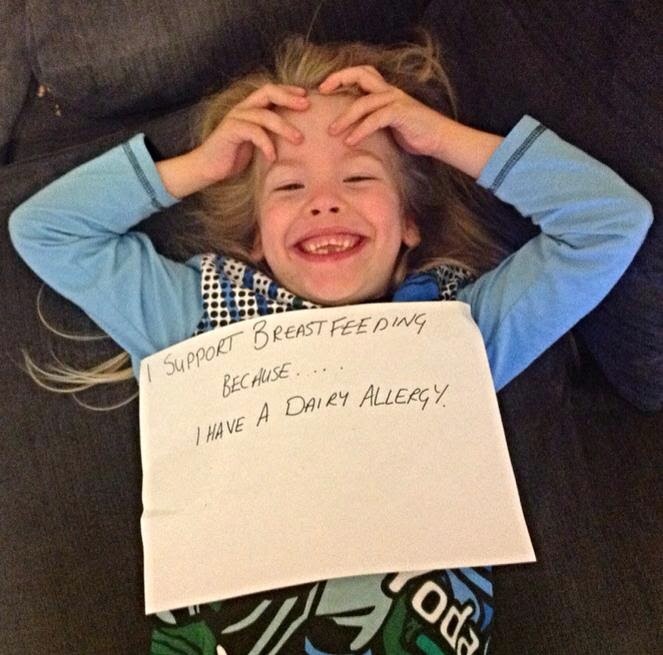 "I support breastfeeding because it is the most rewarding thing I have ever done, and also the hardest"
"I support breastfeeding because...I have a dairy allergy"
"I support breastfeeding because...It stopped me feeling like a "failure" when I couldn't birth my babies naturally. It means my body does work!" "I support breastfeeding because it builds healthy brains"
"We support breastfeeding because it is local and organic"
"I support breastfeeding because...I know the STRUGGLE...and the REWARD"
"I support breastfeeding because...Every mother should experience the deep bond that develops when she nourishes her baby with her own body"
"I support breastfeeding because...NOTHING is more beautiful than using my BREASTS to nourish my child"
"I support breastfeeding because...it helped me & my brothers grow strong & smart"
"We support breastfeeding because it is easy! I always have the most nutritious food for my baby with me wherever we go and I always have enough"
"I support breastfeeding because...It is 100% free & what nature intended"
"We support breastfeeding...because...it creates the most beautiful bond between mummy and child"
"We support breastfeeding because...We want what's best for our daughter"
Love this post. I support it for all those reasons! Thanks Harmony! The reasons are just brilliant, aren't they :) Lovely to hear from you. I love your blog, lovebthese pics. I'm a mum of 4. My youngest is 2 years and 3 months. I am regularly criticized for continuing to feed him. We have a strong bond and it's something we both enjoy, to be honest the only negative is the lack of sleep as he still wakes regularly through the night. I don't know a legit reason for stopping yet. 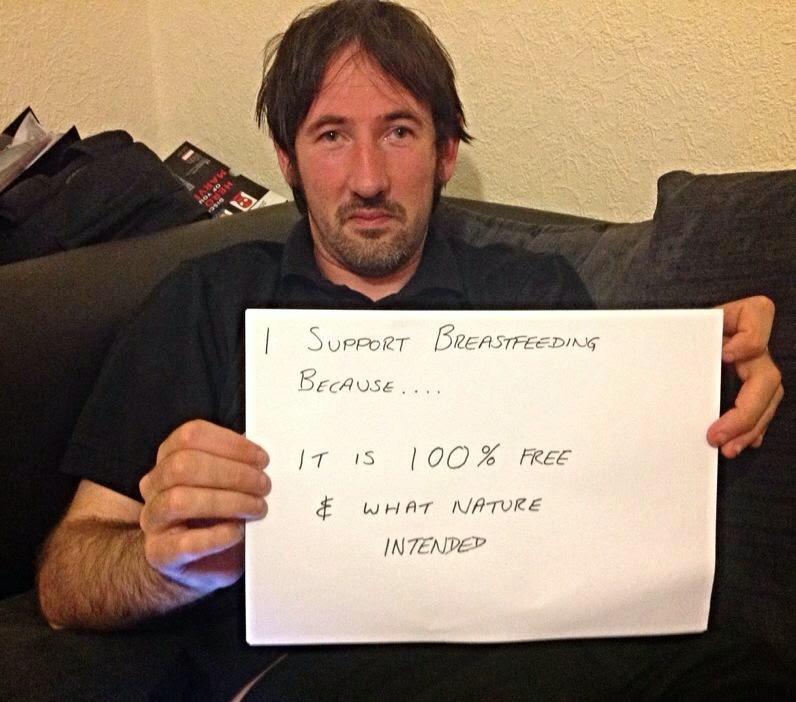 Support breastfeeding as it's the most natural thing in the world.